A Spanish engineer named Patelo has created what he thinks has to be the world’s smallest V12 engine. Spending more than 1,200 hours transforming blocks of aluminium, bronze and stainless steel. Into the intricate pasts needed to build this amazing V12 engine. The tiny V12 engine is powered by compressed air which is injected into the engine at 0.1kg/sq cm. The pistons on the V12 engine measure just 11.3 mm in diameter, and with the twelve combined boasts a total displacement of 12 cubic centimetres. Watch the video after the jump to see it in action. 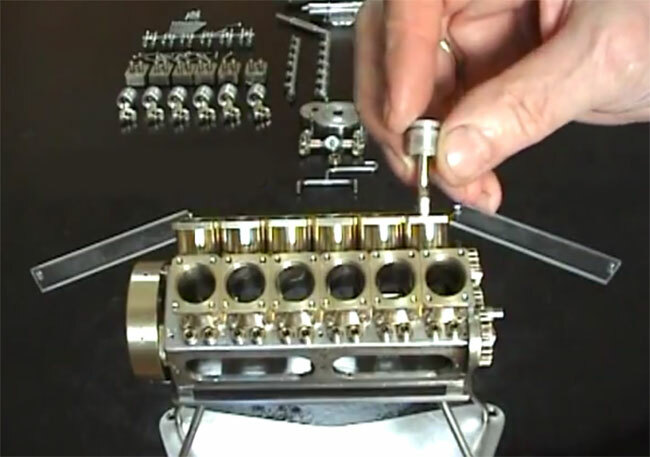 The complete engine is constructed from 261 handcrafted pieces, together with 222 screws which hold everything in place.